Doha, Qatar, 3 January 2017: The Azadea Group, one of the leading lifestyle retailer operators in the region, has opened the first ever Eataly in Qatar, within the new Mall of Qatar development. The opening, one of several planned for the brand in the Middle East, comes after three incredibly successful years for Eataly in the UAE, and a recent expansion into KSA. 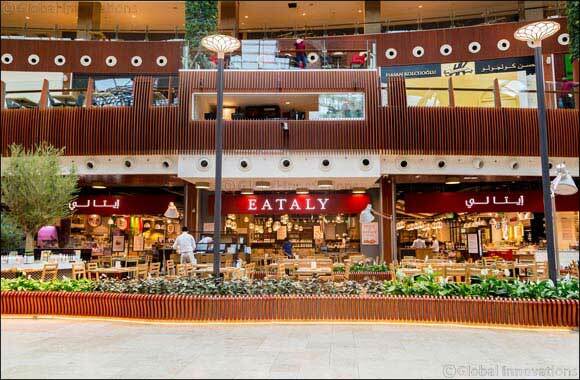 Eataly was first introduced in the Middle East through Azadea Group which brings over 55 brands and international concepts from around the world to the Middle East and Africa. Qatar’s growing F&B scene, with international and home-grown brands opening across the capital, made Doha and Mall of Qatar a logical next step for Eataly’s expanding portfolio. Just like other Eataly locations across Europe and the US, the new Mall of Qatar store is designed to encourage consumers to explore and discover new dishes and tastes. Eight stand-alone food stations are manned by expert chefs in their fields, each of whom are well versed in the traditional methods of creating authentic Italian fare. Setting it apart from competitors is Eataly’s unique in-restaurant market, where customers can purchase signature products from across every region of Italy such as Afeltra pasta, Antonella tomato sauce, pesto from Niasca Portofino, gluten-free pasta and an exceptional assortment of sweets, biscuits, torrone and chocolate.